Kalinga Institute of Industrial Technology (KIIT) Deemed to be University, Bhubaneswar is among a handful of Indian universities to enter World University Impact Rankings 2019 of the Times Higher Education (THE). The first edition of the Times Higher Education World University Impact Rankings 2019 was released on April 3, 2019 and includes more than 450 universities from 76 countries. The rankings assess universities against the United Nations’ Sustainable Development Goals (SDGs). 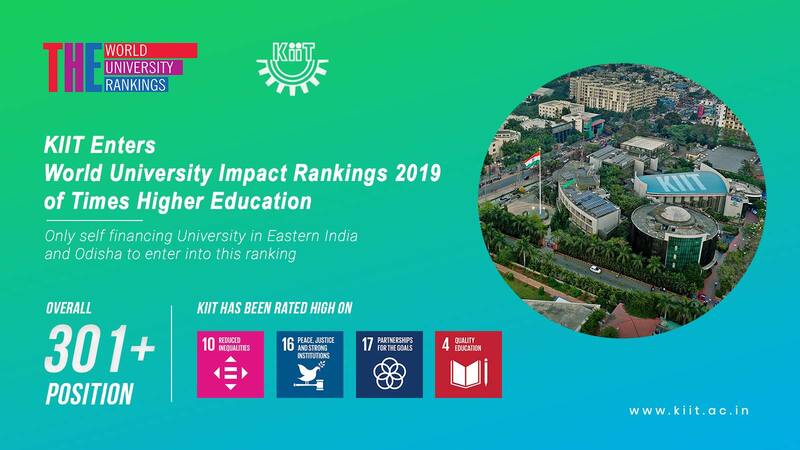 KIIT Deemed to be University is the only self-financing university from eastern India and Odisha to enter this prestigious global university ranking that aims to measure an institution’s impact on society based on its success in meeting the UN’s Sustainable Development Goals (SDGs). Last year, it had achieved an impressive rank in The Times Higher Education World University Rankings 2019 also which assesses research-intensive universities from 86 countries across all of their core missions. Sustainable Development Goals, adopted by the UN in 2016, provide a framework for developing the world in a sustainable way. In terms of other parameters, KIIT has got 101-200 position with respect to Reduced Inequalities; 201+ in Peace, Justice and Strong Institutions and 301+ in Quality Education. Overall it has got 301+ position globally in impact rankings. KIIT is just twenty-two years old as an institution for professional education (1997) and 15 years old as a University (2004). 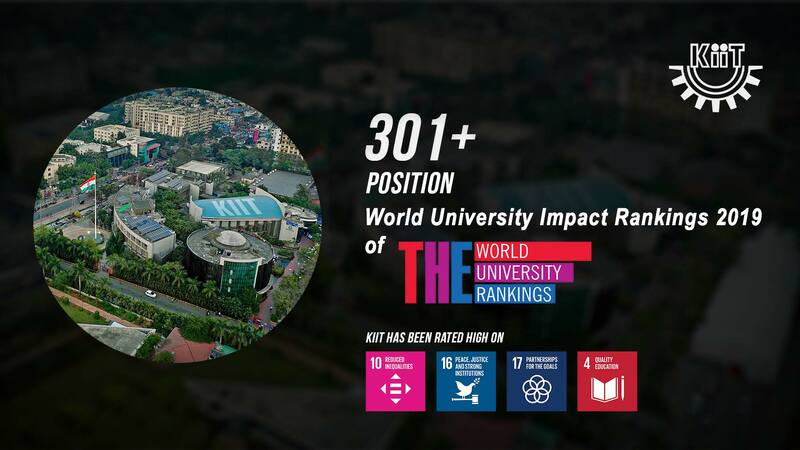 But, despite being a very young institution, it has got a place in the coveted World University Impact Rankings 2019, securing a position of 301+. IIT Bhubaneswar as well as few well-known deemed universities from south India have also found place in the report, while KIIT has got the same success. Staff, students and well wishers of both KIIT & KISS profoundly thanked and expressed gratitude to the Founder of KIIT & KISS for his vision to carry out the mission of SDG, reducing inequalities since the inception of KIIT. Under his leadership, from the beginning, KIIT has been engaged in a lot of outreach work in Odisha and beyond. The present ranking is the result of that, they expressed to the Founder, KIIT & KISS.